Zayn, 25, has been sporting his natural dark hair colour lately, after shaving his head last autumn. 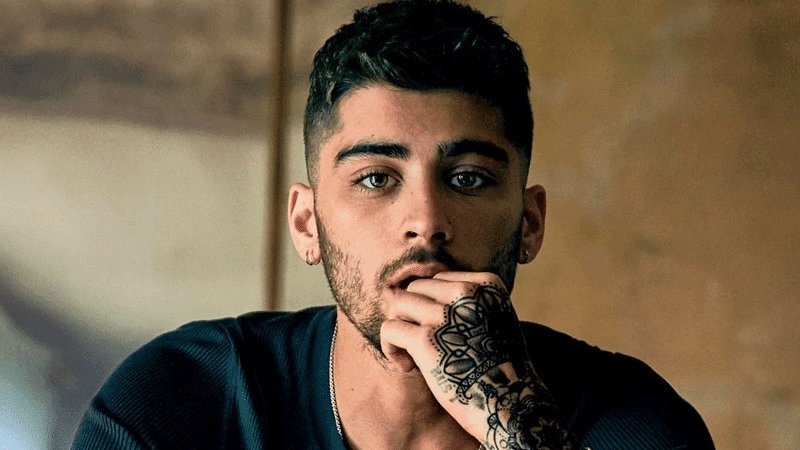 British-Pakistani singer Zayn Malik will be in India for a multi-city tour in August. The former One Direction band member recorded his first song for a Bollywood movie earlier this year and shared that he also worked with music maestro AR Rahman on one song. “Zayn will kick-start the tour from Mumbai on August 3 and then head to cities like Kolkata, Hyderabad and Delhi. We are planning to organise his concert in Nepal too,” Vishal Pandey, Chief Operating Officer. “Zayn has a very good fan following here so, I thought why not Zayn. ” he added. Zayn, who quit One Direction in 2015 to lead a ‘normal’ life out of the spotlight, dropped his first solo single, Pillowtalk, in 2016. The British-Pakistani singer has also made cover versions of some of Indian singer Kailash Kher’s hit numbers. Zayn Malik has a huge following in the South Asian community and is a proud memeber of his Yorkshire roots.